MaxEx is here to do it all. Through our vast years of experience, MaxEx has the knowledge and tools to resolve any situation. 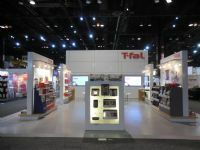 Our goal is to assist you in creating excitement and traffic in your booth during your tradeshow. We have the ability to handle all, or your choice of selective services: from consulting, planning and design, to the construction and engineering of your booth to all of the on-site and pre-show management, as well as shipping and storage. We offer customized design and logistical solutions. MaxEx makes the impossible possible. As your partner, once we understand your needs and goals, we can create remarkable solutions that will emphasis your strengths to your clients. 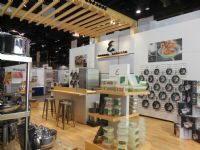 Our goal is to assist you in creating excitement and traffic into your booth during your tradeshow. We listen, evaluate and recommend creative and innovative ways to meet your needs while making the best use out of your exhibit marketing budget. Our experienced team offers turnkey or a la carte choices, as well as customer service that will go above and beyond your expectations. Designing, building, implementing, shipping, constructing... We are the total package!